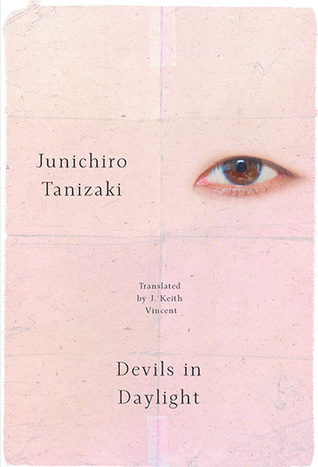 Welcome to our August Readalong discussion of Junichiro Tanizaki's Devils in Daylight. Since this book is so short (87 pages not counting the afterword), we will have only one discussion post. Feel free to join in the conversation at any time this month! Bonus! This book is a retelling of Edgar Allan Poe's The Gold-Bug. If you haven't read this story yet (and I think you definitely will want to after reading Devils in Daylight), you can download it for free from Project Gutenberg or listen to Vincent Price read it on YouTube. First of all! What did you think of the book as a whole? Was it what you expected? This book feels very modern even though it was written nearly a hundred years ago. Do you agree? What do you think are the modern elements? What were the most disturbing or creepy parts of the story for you? As mentioned before, this book not only references but retells Poe's The Gold-Bug. Have you heard of or read this story before? Would you describe Devils in Daylight as "EAP-ic"? What about The Gold-Bug would you say appealed to Tanizaki? What did you think of the passage of time in this book? Do you think that was deliberate on the author's part, and if so, why? The book's summary mentions Tanizaki wrote books about "the power of love to energize and destroy." Do you think this book fits into that theme? Another theme in the book is madness. What do you think the characters mean when they talk about going mad? Do you think Sonomura is actually crazy? What did you think of the ending? (Since this is spoilerific, I encourage you to respond with a simple substitution cipher like the one from The Gold-Bug. You can make one up/decode the responses on your own or, if you're lazy, use an automatic cryptogram program). Any other things you noticed and want to discuss. Respond in the comments or paste in a link back if you responded somewhere else!